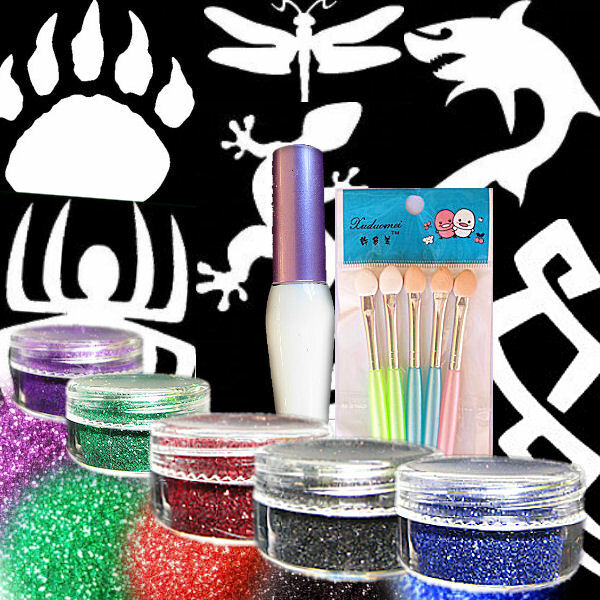 Glitter kits are perfect for Temporary Glitter Tattoos. 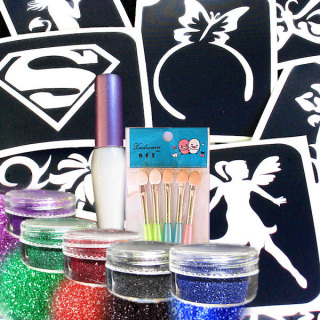 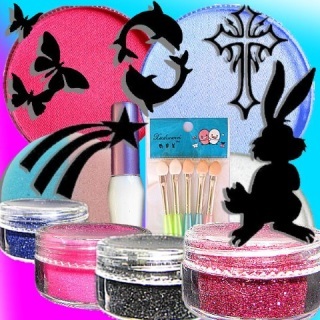 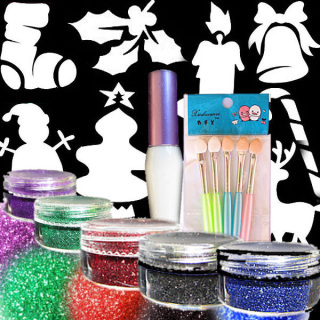 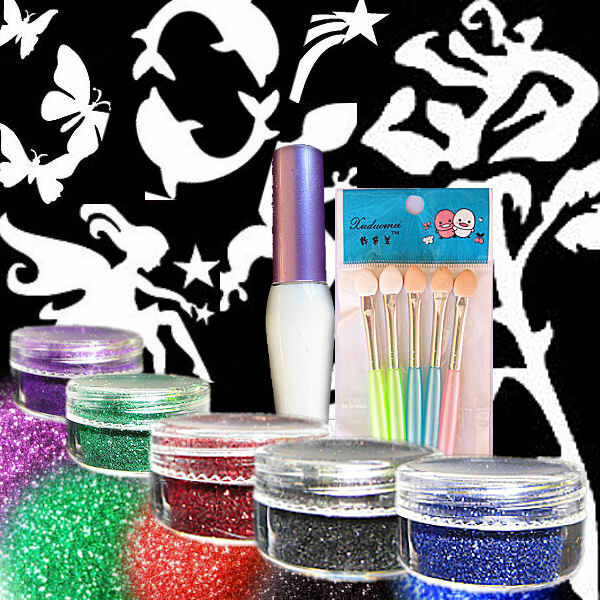 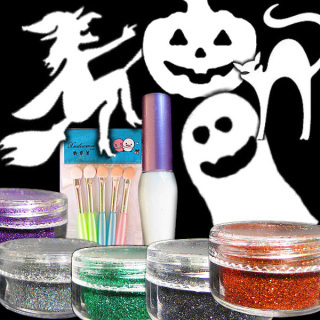 Included in the kits are Temporary Tattoo Stencils, Pros-aide Cosmetic Adhesive, Sponge Applicators and Glitter. Temporary Glitter Tattoos can last for up to one week on the skin and people of all ages love them. 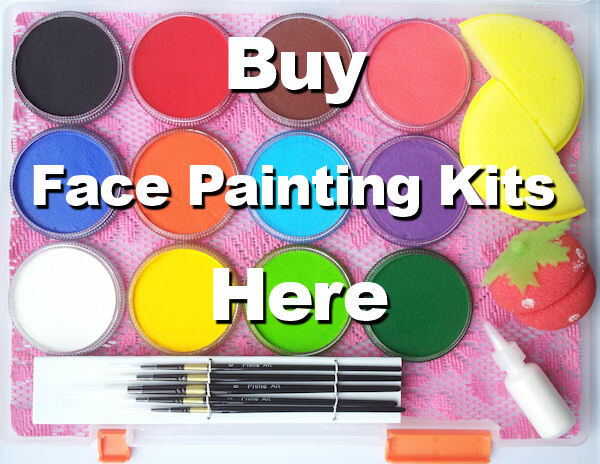 Buying your products in kits is cheaper than buying them individually, see your savings on each kit below. 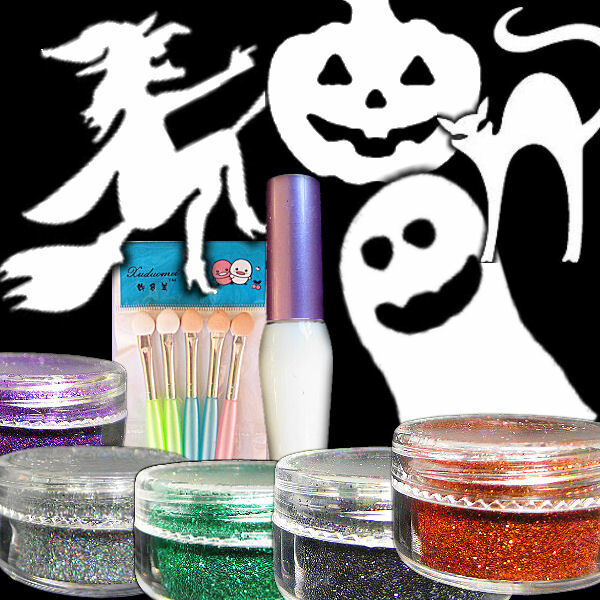 or in "Sponges & Accessories" *** Please note: The Pros-Aide bottle has changed. 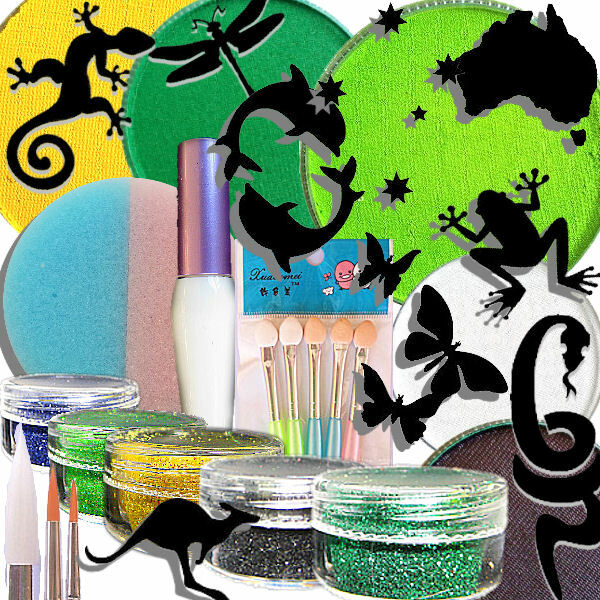 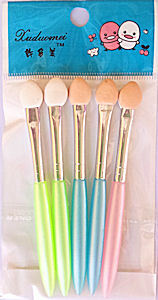 Face Painting Kits are discounted so you save by buying a kit.